Like I said in my last post, I've been pretty ill the past week, I'm not entirely sure what is up, I have all the flu symptoms only without the mucus. Gross - I'm sorry. 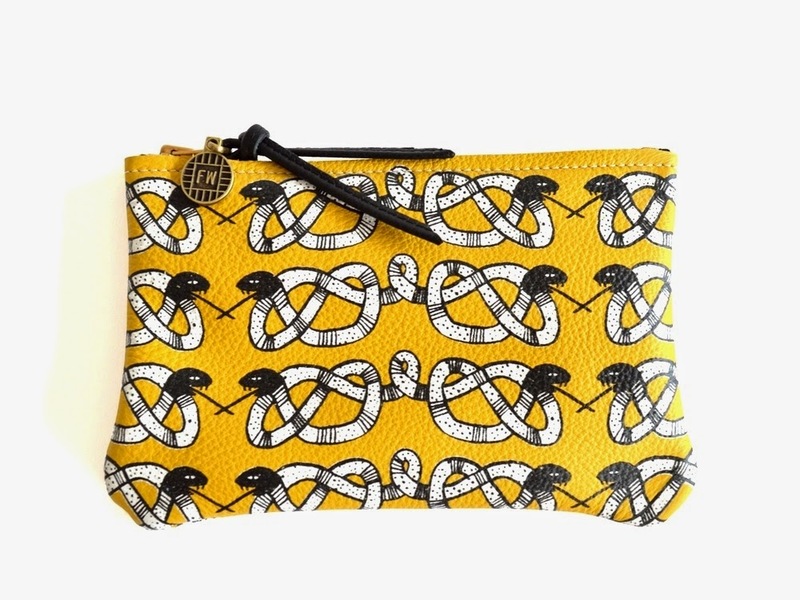 Anyway to cheer myself up when I'm not sleeping I've been oogling pretty clutch bags from Falconwright. Falconwright is a handmade and hand-screen printed two-woman company based in Toronto. Sandi (see her amazing illustrations here) and Danielle (who sell beautiful jewelry here) are both incredibly talented in their own right but come together to create something special. 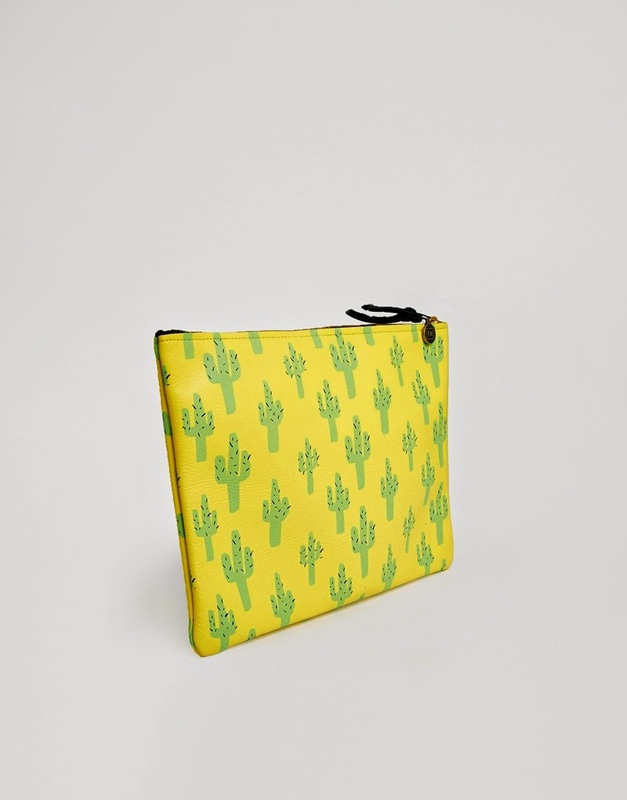 They use their own designs and prints to create these gorgeous clutches, card holders and mini-pouches. 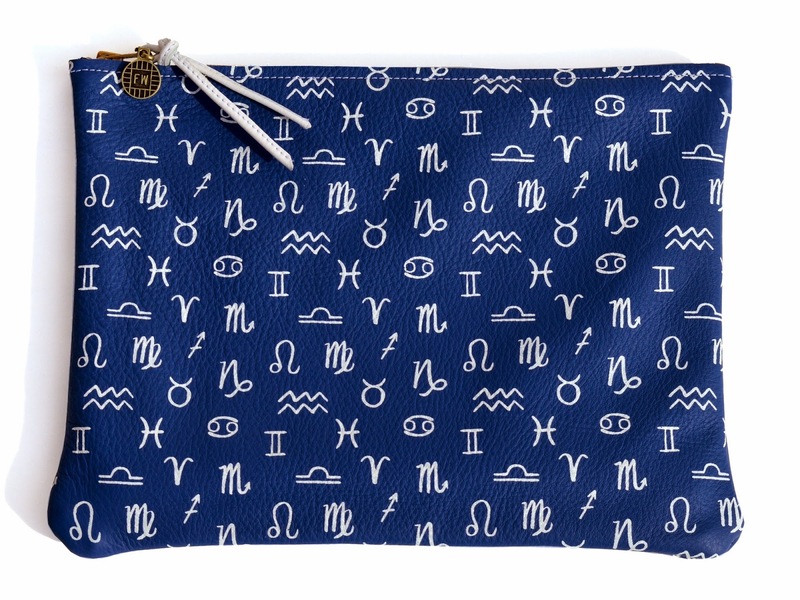 I'm obsessed with Zodiac symbols and this is amazing! There is something about the way this print sits and the gorgeous yellow that I am in love with. 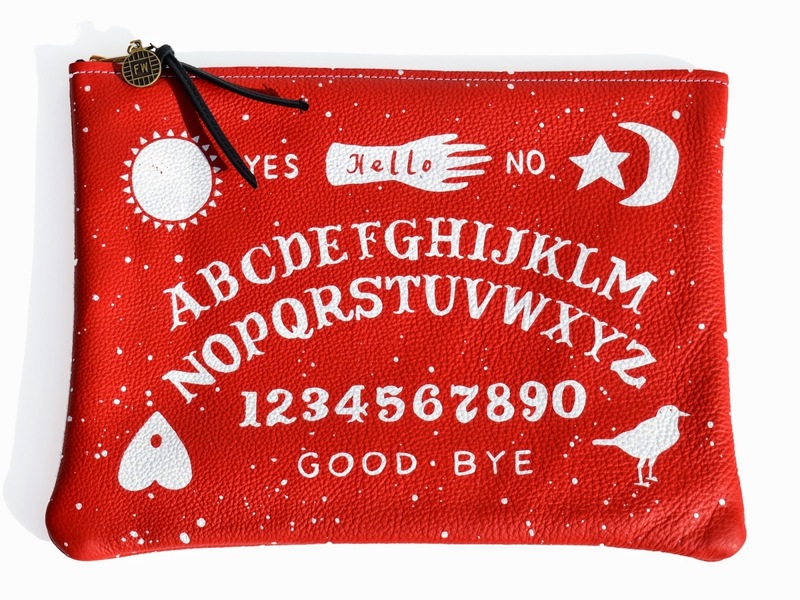 This is my other fave actually available on ASOS (as is the Ouija print and Zodiac print.). So what do you think of these beauties? 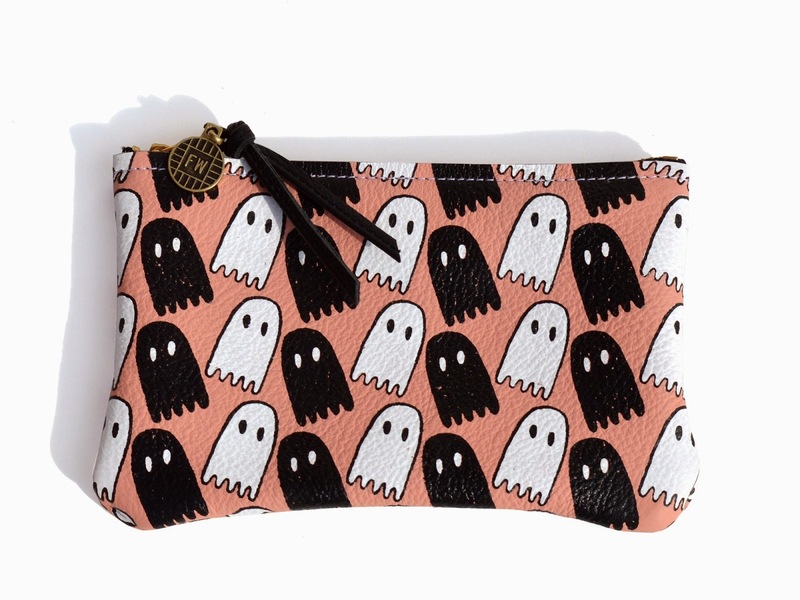 I feel like these ladies have incorporated everything I love and put them onto cute clutches! I'm back off to lay on the sofa and re-watch the American Office on Netflix. I've not been feeling very well this week but sleeping it off every evening when I get home so I've been a little quiet on here. Today I wanna share my favourite music with you guys. I actually started this list with different intentions but it got too long and I couldn't choose who to cut out! It's such a hard thing to choose 'favourites' when I listen to such a broad amount of music and genres. 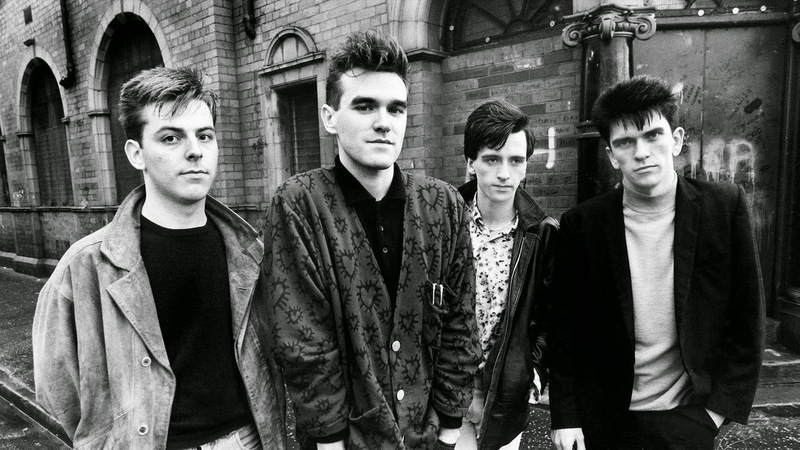 One theme that did occur in my favourite tastes was a huge Manchester influence from the 80's and early 90's. My Dad is from Manchester so half of my family live there, my fondest memories as a child was about twice a year we would go up there to see my family and it was always my favourite place ever. If I ever decided to move from Cardiff (which is actually what is stopping me from buying property here) I would go to Manchester in a heartbeat. When I was a tiny child I used to love going driving around or just sitting with my Dad blasting 'his' music on a Saturday morning and its 100% what has influenced my musical loves now although I ended up finding my own path with it. 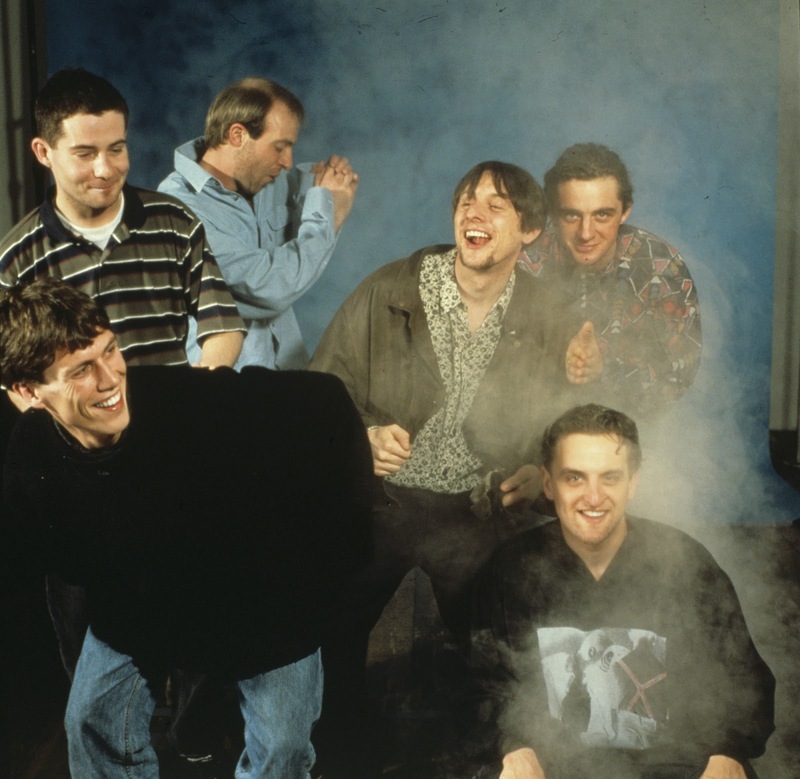 As I started my list the Manchester theme was strong so I thought I'd continue with it and share my favourite Manc bands. 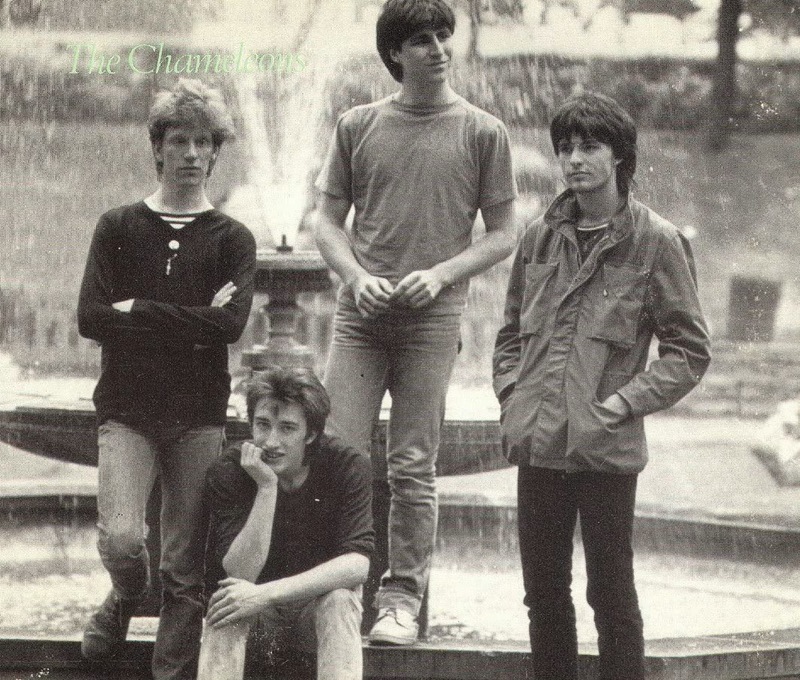 Even on of my favourite songs, I'm Not In Love by 10cc (see below) is from a Manchester band too. Probably my ultimate favourite now, 'Manchester's finest' as my Dad labels them and they really are. I can listen to their debut 1989 self-titled album on repeat and love every single song. A rare thing for me not to dislike at least 1 song. I got to see them live last year and it was one of the best experiences of my life. Probably Manchesters most famous/infamous. 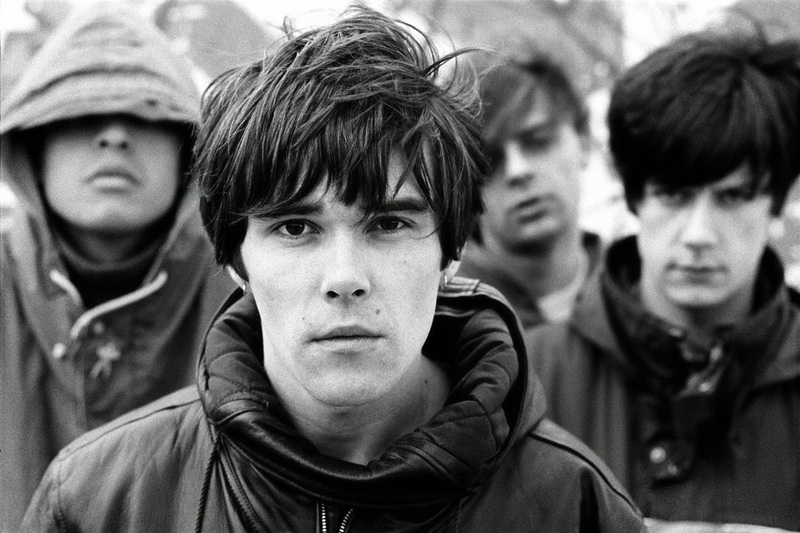 I'm one of those people who only LOVES 'Definitely, Maybe' and 'What's the Story Morning Glory' but the other albums I can only bear a few songs. 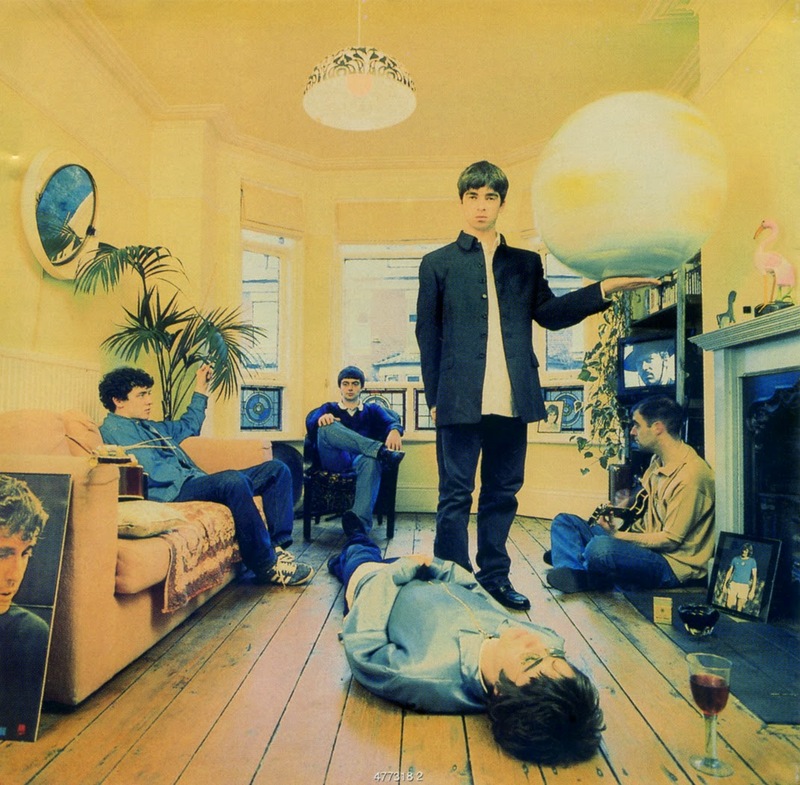 They went downhill sad to say HOWEVER Noel Gallagher remains one of my fave people (hearing him from the old Russel Brand radio shows made me love him so much) and I actually didn't mind High Flying Birds. If they reunite I will be first in line for a ticket. As if they couldn't get any more kinder to us, LUSH have now turned 3 of their best-sellers into Self-Preserving! Ocean Salt, Dream Cream and Mask of Magnaminty have all been given the self-preserving treatment which basically means all synthetic ingredients (although totally safe) have been replaced with natural preservatives which means the product is now Vegan. It also has much less water inside which gives the product a much longer shelf life compared to other non-solid products. Ocean Salt Self-Preserving Face and Body Scrub c/o LUSH. Ocean Salt smells divine! It's a very fresh smell with the top ingredients being Grapefruit extract and Lime extracted Vodka. Basically a cocktail! Although this is marketed as a face scrub I actually prefer to use it as a body scrub to help with stubborn dry areas. The main ingredient in this is Sea Salt which after exfoliating really keeps the skin feeling sooo soft! The scrub is pretty coarse - which personally I love! I love to feel like something is working so when it feels like the scrub is getting rid of dry and dead skin, it feels great. Have you tried any of the self-preserving range yet? 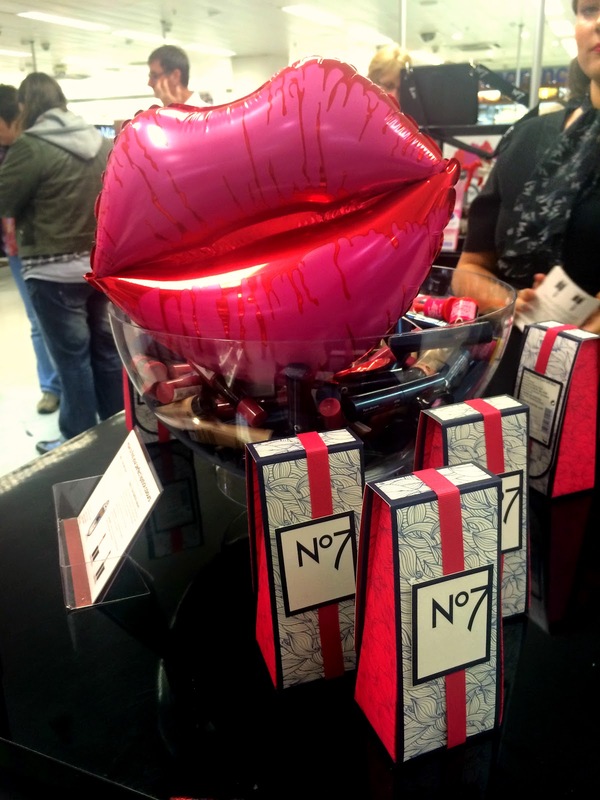 On Saturday I went down to Boots in Cardiff city center where they were holding a little event in aid of their new No7 Match Made lipstick service. 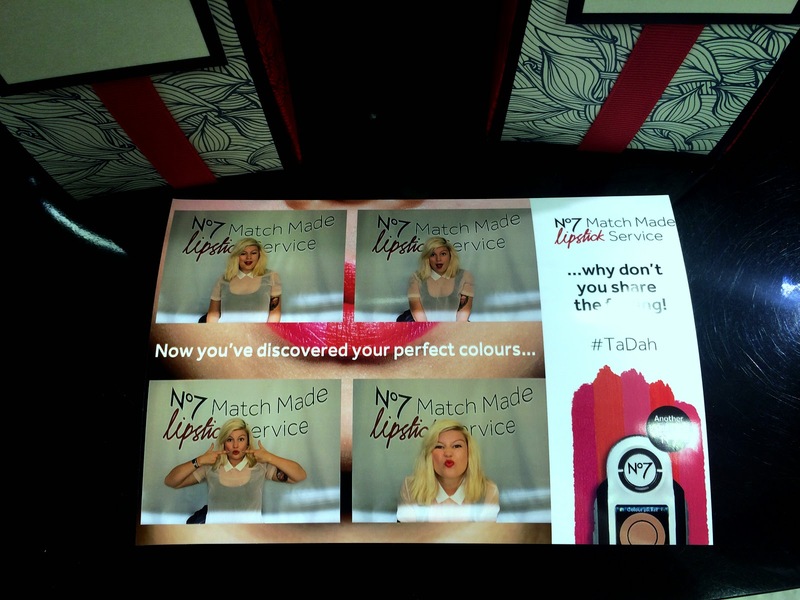 There was a photobooth in which customers were invited to come along to get Match Made and then lipsynch along to the new advert for a video or have some photobooth snaps to keep! 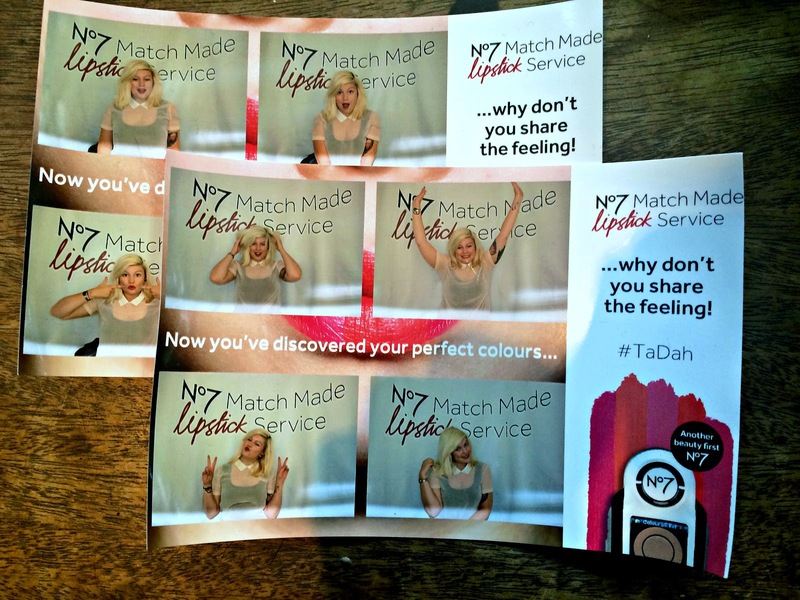 You may have heard of their foundation match service where they use a little machine thingy (not the technical term) and take a photo of your skin tone to see which foundation is the perfect match for you. Well this is another beauty first for No7 who can now tell you, by your skin tone, just exactly which lip colour suits you best! I was 'Cool Vanilla' and I got to look at all the shades suited to me and choose which I felt most in the mood for and went for 'Soft Paprika' - which was gorgeous! I wanted to try more but I wanted something bright to wear while I went to get some other involved in the photobooth action and talk beauty with customers at the No7 counter. There are 43 new flattering lipsticks which are set out to complement your specific skin tone so there is something out there for everyone! They are available in formulas 'Moisture Drench' (my personal fave) or 'Stay Perfect'. 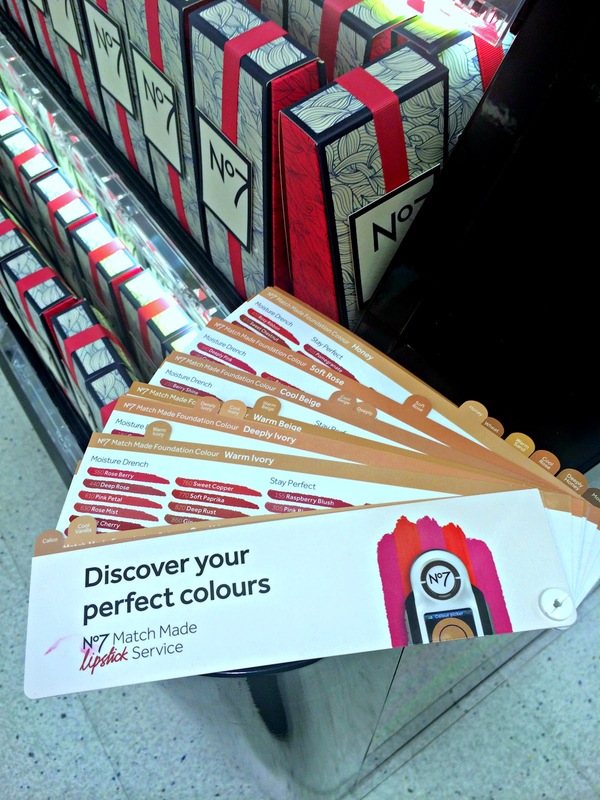 I really recommend going for the service, it's totally free and you can keep your card that shows you all the No7 shades best suited to you - plus you can try them all then and there with the awesome No7 staff! Thanks for having me Boots - it was a blast! Lately life has been getting me down and I can't shake it which is more annoying to me than anything! But I do have lots of things that cheer me up too - such as suprise packages! The gorgeous Claire (or as you may know her blog Bee Waits.) cheered me right up last week by sending me a suprise little package of joy! I'm desperate to go upto Glasgow and meet some pals who I've know online for ages but never met. I have some train tickets I need to use up so maybe this is the trip I need! This is a pretty grey that actually has a slight purple/blue tint. I got this in a gift bag from the Kamigata event. This was given to me by Bee, the lilac has iridescent glitter in it. Very subtle and cute! DIY Nails - Sweet Hearts Decals. Also part of my gift, these cute little decals are so so easy to put on! You just cut the one you want, wet it for 5-10 seconds in water and then slide it off the paper onto your nail. Can you recommend any super chip resistant nail polishes? I really loved the Essie - it was my first time using them and now I want more! Last week Cardiff's most fabulous Aveda hair salon, Kamigata, celebrated their 4th Birthday - and they celebrated in style! The Birthday party, which was inside the salon on the ground floor of St.Davids, was open to their nearest and dearest clients as a thankyou for their love and support since their opening in 2010. There was champagne flowing and even their very own cocktail made for the evening to coincide with their next-door neighbours Vivienne Westwood's A/W '14 lookbook. The salon had models dotted around showing off the high-fashions of VivienneWestwood's A/W '14 lookbook, music was pumping and the atomosphere was incredible. Aswell as all of this excitement there were also complimentary hand and arm massages, OPI nail painting, Aveda Chakra rituals and Reiki being performed for guests. Lucky for me lots of my pals were actually at the event and one (pictured above) even worked it! At the end of the evening was a raffle draw to win Aveda, GHD (which the gorgeous Beth won!) and Vivienne Westwood goodies - lucky little me won an Aveda Stress Fix kit worth upto £70! This was definitely one of the best event of the year! I've had a lush weekend back home in sleepy Devon and back in Cardiff which is on lockdown for Obama and other world leaders' arrival for the Nato conference. You will have to twitter-search or Google to get the full effect of what it's like here at the moment but it resembles the film 'Children of Men' or a Zombie apocalypse survival town. Police with guns, giant mental fences and people filter-systems - Scary! The first thing that caught my attention with this brand is that it is 100% animal friendly and 10% of profits go to charities that are stopping animal testing and protecting animals from it. The packaging insn't that striking however it's true to it's natural and organic roots which is always good. First up you have to leave the treatment on for an hour - now finding an hour in my day where I have nothing to do except sit with treatment on my damp hair is hard BUT I managed it! Then I'm pretty sure because it felt like I wasn't using alot of product/it wasn't going far, ending in me using WAY too much. Instead of massaging it into my scalp as instructed I actually put it all over the ends of my hair (as I thought I'd put it on the part that needed the treatment rather than the parts I felt didn't) which after the wash-out left my hair pretty greasy. Do you have any dry/broken hair treatment miracles you can share with me? I really need them!